Amazing is what your family will say when you fix this Easy Italian Chicken. 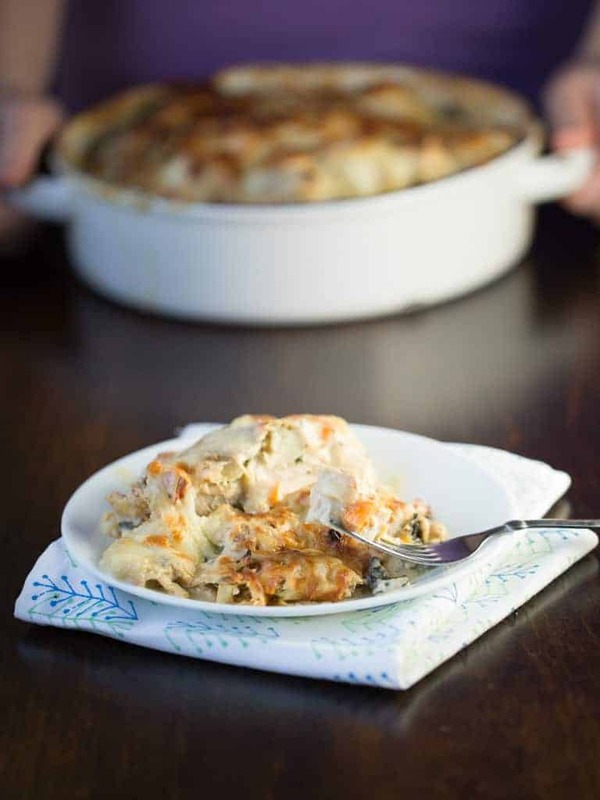 Creamy Italian flavored sauce with colorful peppers, onions and garlic envelop baked chicken that is topped with toasted mozzarella cheese to create a memorable meal you family will ask for again and again. 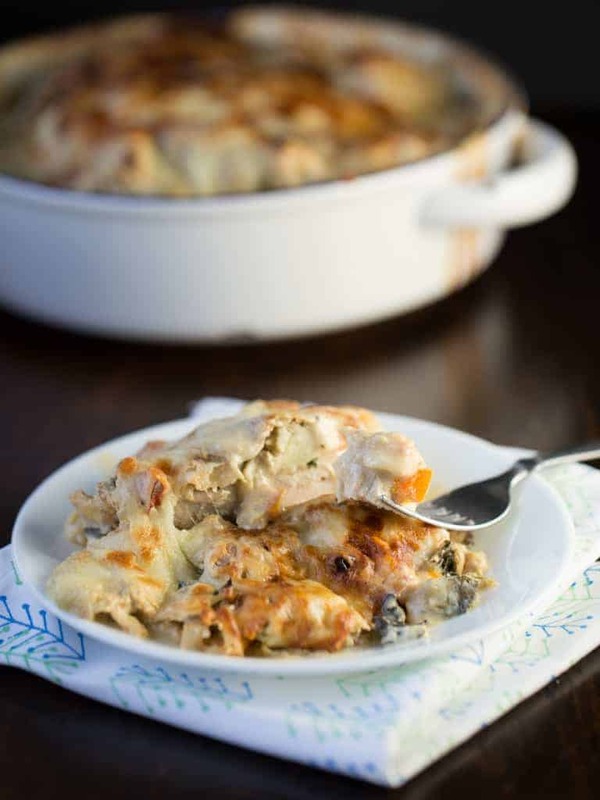 I always love recipes that have a creamy sauce base so when I came across the recipe for Baked Italian Chicken from Bacon Butter Cheese Garlic Blog I knew it was something I would want to try. I changed a few things in the recipe, one being I took out the mushrooms, I would have a family revolt on my hands if they were in there. I decided to substitute red, orange and green peppers instead. I liked the addition of color and the flavor they brought to the dish. The original recipe called for 1/4 cup of chicken broth, however, I didn’t want to open a can and only use a 1/4 cup out of it. Instead, I added a 1/4 cup of water and one bullion cube, which is an economical substitute for chicken broth. Here is a tip. I had a hard time telling if the chicken was done because it was covered with all the creamy sauce and veggies so I used my wireless meat thermometer to let me know when it was done. It’s super easy to use, just insert the probe into the meat and then set the digital thermometer to chicken and it will beep when it reaches 180 degrees. No guessing if your dinner is cooked enough! Doing the little extra things helps create memories for your friends and family and it tells them you are special to me. 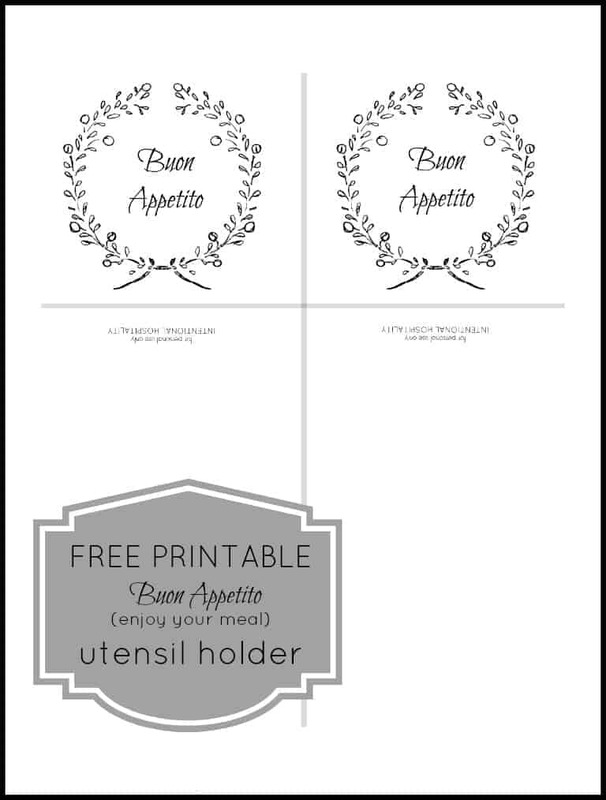 To make your meal with this Easy Italian Chicken really memorable why not use my free printable utensil holder. 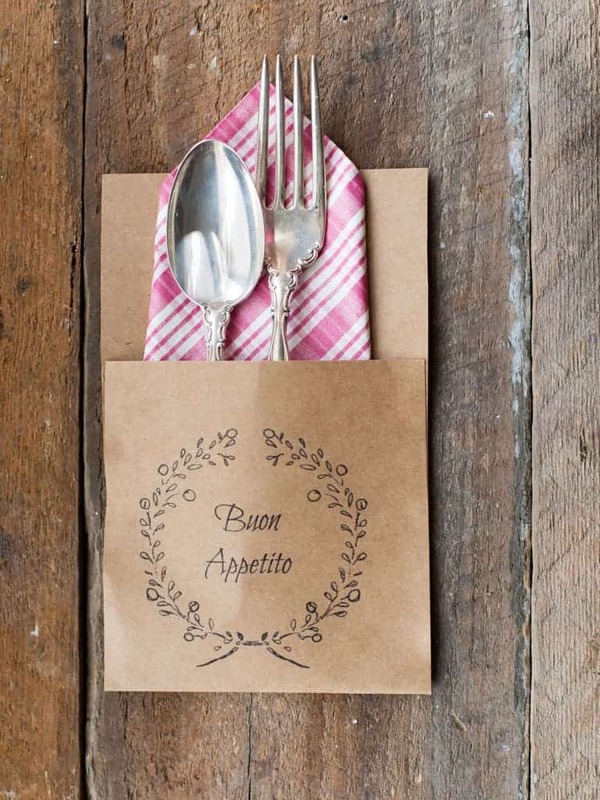 It says Buon Appetito which means, enjoy your meal in Italian so it goes perfectly with this recipe. Amazing is what your family will say when you fix this Easy Italian Chicken. 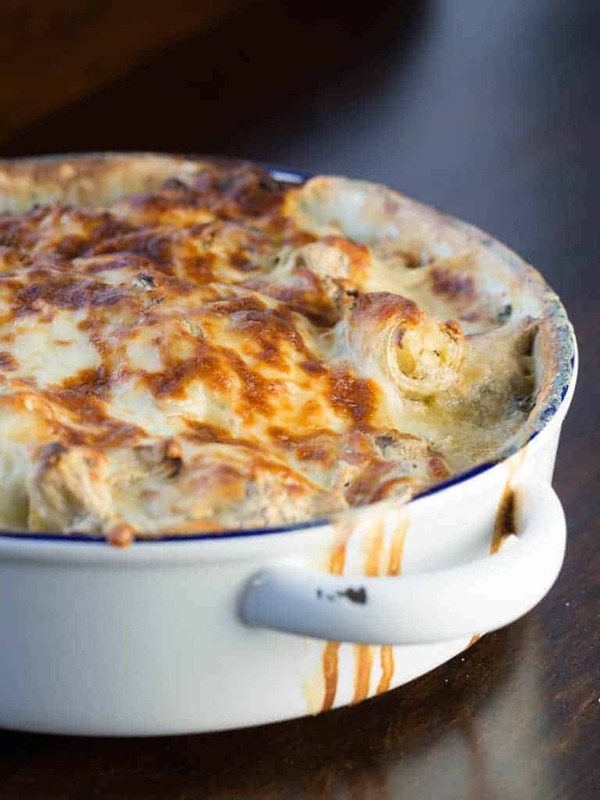 Creamy Italian flavored cream sauce with colorful peppers, onions and garlic envelop baked chicken that is topped with toasted mozzarella cheese to create a memorable meal you family will ask for again and again. Put water, bullion cube and cream cheese in microwave safe bowl and microwave a minute or two until cream cheese is very soft. Whisk the dressing mix into the cream cheese mixture until smooth. Stir in pepper mixture, artichokes, and spinach. Pour the cream cheese and veggie mixture over the chicken. Bake for around 45 minutes OR until the chicken reaches 180 degrees. Sprinkle the shredded mozzarella cheese over the top. Return to oven for 10 minutes. Broil on high for 3 minutes to brown cheese.